File hosting service MediaFire has launched a Dropbox-like application for OS X and Windows today, MediaFire Desktop, which lets users upload files directly from their desktops to the cloud, and share them with others. The public beta of MediaFire Desktop has the same type of file syncing features found in Dropbox — but with up to 50GB of free cloud storage, it is obviously out to take on the incumbent in this space. Comparatively, Dropbox starts you off with 2GB of free space, though you can get up to 16GB free via referrals. Mediafire Desktop also acts as a complement to the company’s existing service. After all, since it already hosts files for users to share among one another, why not simply make use of the cloud as well? Automatic File Sync: MediaFire automatically updates all of your media to the cloud. 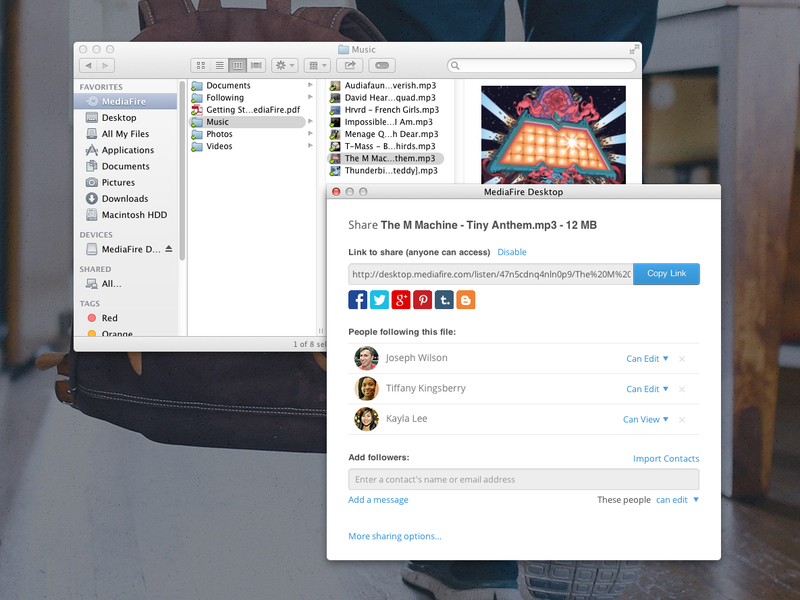 Social By Design: Share and collaborate with others from your desktop. Social networks supported include Facebook, Twitter, Google+, Pinterest, Twitter, Bloggr. There is also embedded link sharing for online blogging platforms. Activity Feed: Keep track of all your activity on MediaFire, including updates to your files made by other users, new files received and system status messages. Automatic File Version Tracking: Organize your files by date, edit history and type. MediaFire has an automatic duplicate removal feature. 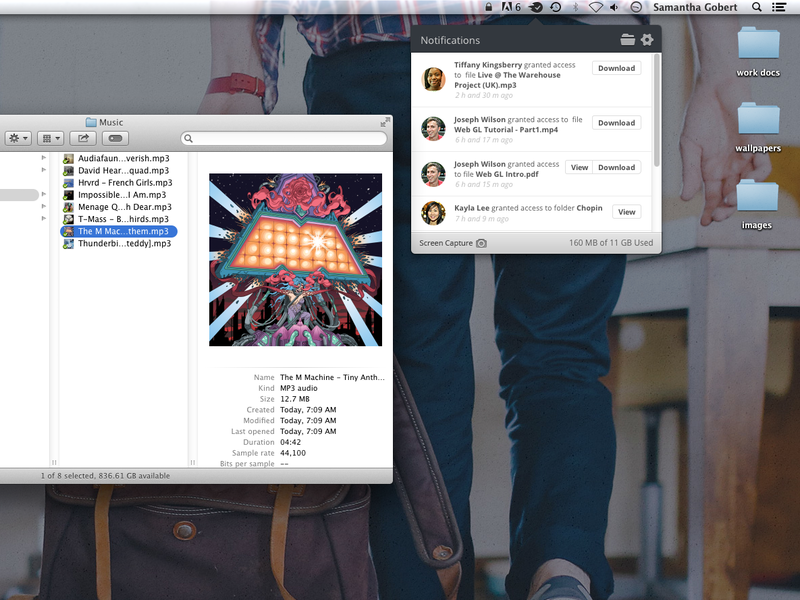 Screenshot Capturing: Instantly capture, annotate and share a screenshot of your desktop. At the same time, MediaFire has also overhauled the design of its main online storage service to make sharing, editing and viewing files easier. It now comes with automatic audio and video transcoding and streaming support for over 200 viewable file formats. As the competition heats up in the cloud storage space, with Chinese company Tencent even looking to dole out a jaw-dropping 10TB worth of free cloud storage to its international users soon, it seems like Dropbox has much to contend with — and MediaFire Desktop wants to take advantage of its existing synergies to become a viable player in this space.